Use FME to overcome the challenges associated with integrating DynamoDB with other cloud-based and on-premises applications and their data. Whether you’re migrating data from different sources into this big data storage system, or collecting data in real-time from web services, FME’s data conversion and integration platform and automation capabilities allow you to accomplish these tasks efficiently, and without writing any code. FME is data conversion and integration technology that helps you move data in and out of DynamoDB NoSQL databases, without writing code. Through FME Desktop’s intuitive graphical user interface quickly create workflows that convert data between DynamoDB JSON and hundreds of other formats and applications including CSV, XML, Excel, JSON from other sources, SQL Server, Oracle, MongoDB and more. And unlike online format converters, FME has a library of tools that enable you to manipulate data’s contents and structure to fit any system’s data model. Working with the JSON format is inherent to integrating with DynamoDB and web services in general. In addition to being able to read and write JSON, FME has tools that allow for more enhanced manipulations. For instance, you can parse documents into their components, extract subsets of data, edit values and key, validate syntax and generate JSON that is structured exactly how you need. FME allows you to easily connect DynamoDB with practically any web service. It has native support for many cloud-based applications including other AWS solutions like S3, SQS, RDS and Redshift. And for web services that it doesn’t natively support, FME has customizable tools that enable you to connect to any cloud-based application with an API and capture its data. 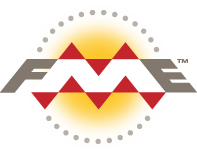 FME provides solutions for keeping up with the constantly evolving nature of data collected through web services. By deploying FME technology via FME Server or FME Cloud, DynamoDB data migration workflows can be automated through capabilities like scheduling and real-time data processing. You can also consume DynamoDB data in practically any application with FME’s DynamoDB reader and write support for hundreds of formats. The DynamoDB reader allows full querying ensuring you can extract the exact data you need. Download a free 30-day trial and see how easy it is to automate DynamoDB data migration tasks with FME. Amazon DynamoDB is a fully-managed NoSQL database service that offers speedy performance, and scalability so users can store and retrieve any amount of data. FME lets you integrate many applications and file formats. Here are some of the ways our users convert Amazon DynamoDB. The table below outlines how Amazon DynamoDB is supported by our different FME products, and on which platform(s) the reader and/or writer runs.